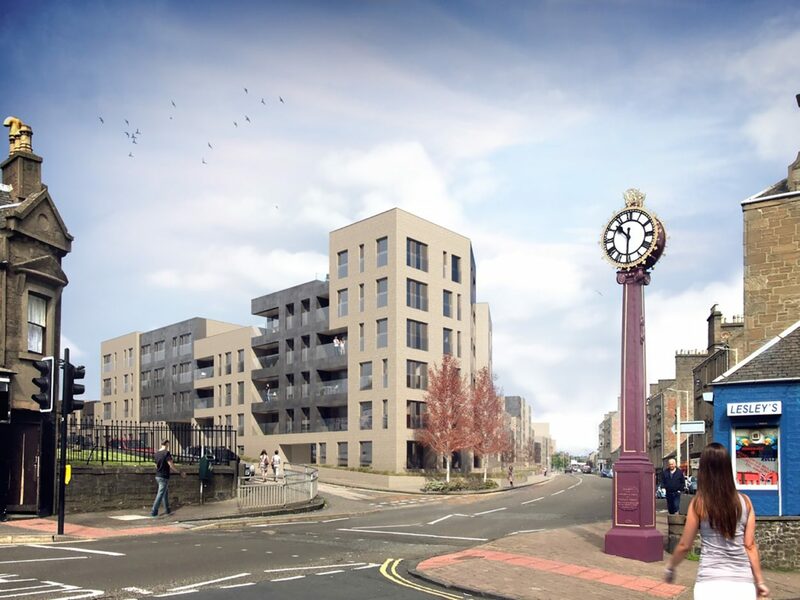 163 new homes are currently being built on a vacant urban site in Dundee. This was previously home to Butterburn and Bucklemaker Courts, twin multistorey blocks providing around 370 homes in this historically important part of Dundee. 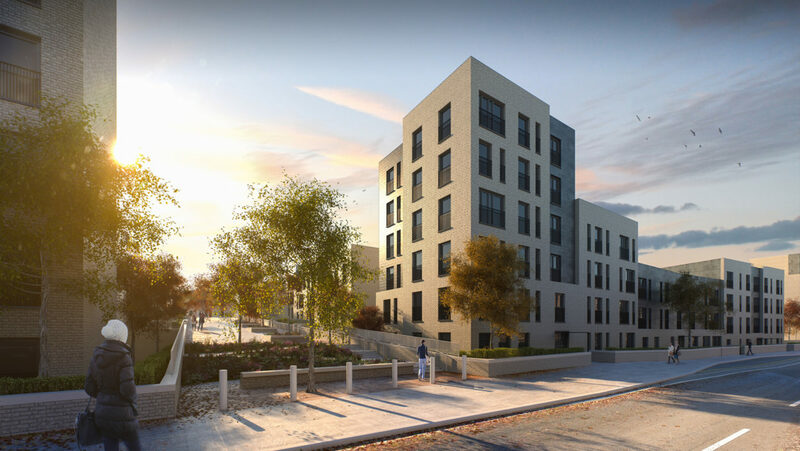 Both were demolished in 2012 and the opportunity has arisen to reinstate the historic street patterns, tying in to the existing fabric with a mixed development of family sized houses, apartments, wheelchair accessible homes and supported housing. 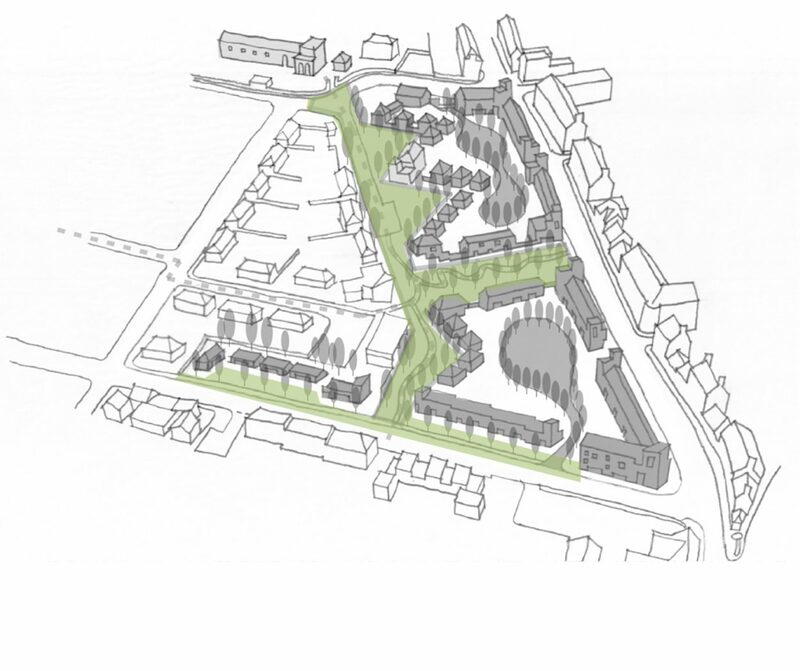 At the heart of the development is a new pedestrian thoroughfare linking the busy main street to residential areas. This is located where Russell Street once existed, a cobbled street with tenements and cottages either side. This was lost in the 1970’s when the area was cleared for the multi-storey development. Although many residents can still remember what this once looked like. Consultations have enabled us to build a picture of how this neighbourhood once existed. The new buildings along the main frontage adopt a varied roof line. 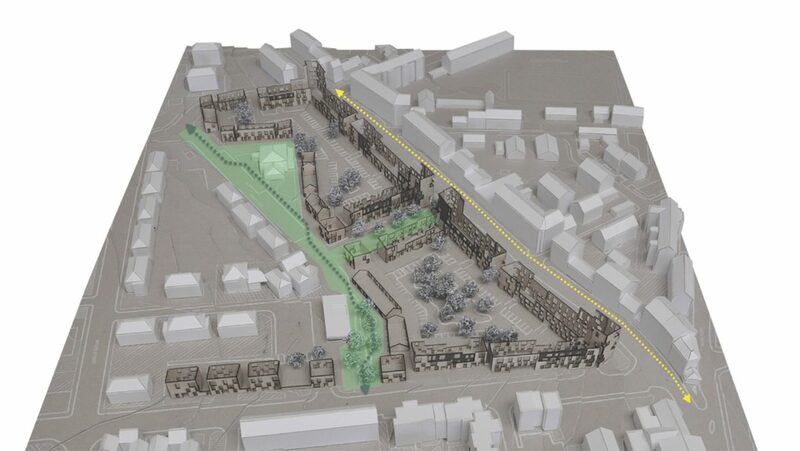 This is to mimic the variation in the buildings opposite with tenements alongside cottages. The buildings rise in height to create strong corners with views also from an elevated position. Buildings to the rear, along Derby Street, are much smaller in scale to reflect semi detached homes opposite and are arranged around tree lined, green crescents, providing a much quieter, pedestrian friendly route linking the nearby church and school to the wider neighbourhood.